It has been an eventful few weeks for MacBook Pro keyboards. Last month, Apple finally acknowledged that a "small percentage" of MacBook and MacBook Pro models with butterfly switch keyboards may experience issues with "sticky" or inconsistently functioning keys, and launched a worldwide service program offering free repairs of affected keyboards for up to four years. The issues are widely believed to be caused by dust or other particulates, like crumbs from a sandwich, getting lodged in the butterfly mechanism underneath the keycaps, which are shallower than those on previous-generation MacBook and MacBook Pro keyboards with traditional scissor switch mechanisms. 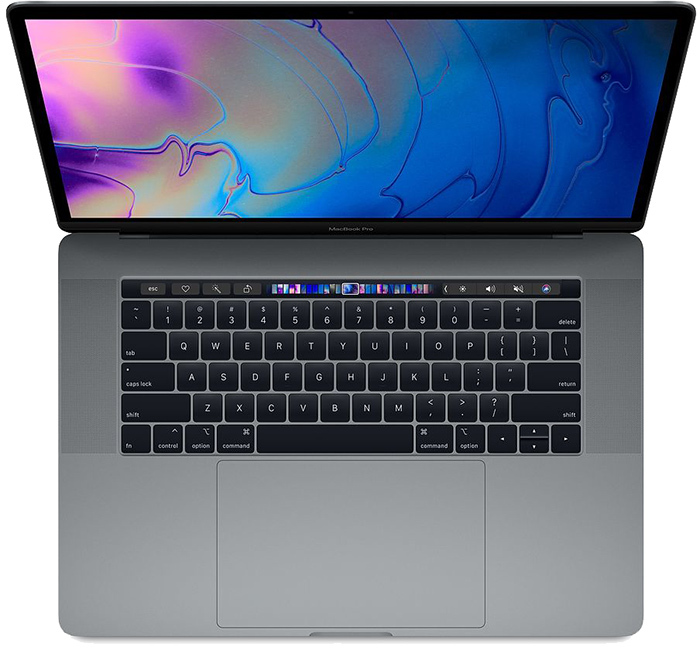 Then, last week, Apple surprised us with the release of new 2018 MacBook Pro models, which feature an "improved third-generation keyboard for quieter typing," according to Apple's press release. Apple never publicly confirmed if the third-generation keyboard addresses the issues that prompted its service program. It didn't take long for the repair experts at iFixit to open up the latest 13-inch MacBook Pro with Touch Bar and discover a thin silicone membrane underneath each key, which they said is clearly to prevent "contaminant ingress," or, in other words, to prevent dust and crumbs from getting stuck under keys. Then, just hours ago, MacRumors obtained an internal document from Apple, distributed to its network of Apple Authorized Service Providers, that clearly acknowledges that "the keyboard has a membrane under the keycaps to prevent debris from entering the butterfly mechanism," as many people suspected. Now, in another internal document obtained by MacRumors, Apple has announced that it will be hosting a series of 60-minute web broadcast events focused on servicing Mac notebook keyboards and keycaps. In the broadcasts, which service providers are instructed to watch "in private in an environment away from customers," Apple says it will discuss the anatomy of the current keycaps, focus on troubleshooting and isolating keyboard issues, and demonstrate how to clean keyboards and replace keycaps. These training sessions are routine for Apple Authorized Service Providers, but given all of the issues surrounding the MacBook and MacBook Pro keyboards as of late, they will likely be very helpful for technicians. Customers can initiate a repair by reading: How to Get a MacBook or MacBook Pro Keyboard Repaired Free Under Apple's Service Program. It's a keyboard, one of the most fundamental components of a laptop. It really shouldn't be this complicated. I’m Apple certified, I spent 15 minutes watching an explanation of a particular screw once. I don’t see the problem in comprehensive training on how to do the repair work technicians are paid for, can you elaborate on the issue you have with it? Fair enough, I see no problem with comprehensive training; but Apple clearly over-engineered this keyboard in an attempt to make it thinner, resulting in all the negative publicity over stuck keys happening with the 2016 / 2017 models, and making it more difficult to service as well. My guess is the 2015 and before keyboards will still prove to be (on average) more reliable than the 2018 keyboards. At retail stores, technician training has been incredibly weak the last few years with lots of employees that are uncertified being forced to proceed with customer repairs. Notice it’s “routine” training for AASP but not for Apple. It’s a big problem and I doubt that they will offer time for Apple Technicians, especially during “busy back-to-school” season, then new product launch, then holiday. As someone who suffered from malfunctioning keyboard on my 15" TouchBar MBP, I hope this membrane fixes the reliability issue. All in the pursue of shaving 1mm off to the laptop thickness... Was it really necessary? I dunno... Butterfly keyboard, gimmicky touchbars, one-port mentality, no headphone jack quest... I feel like Apple in the last few years have been stubornly fighting the wrong battles! Web broadcast about how to replace a condom? ‘service providers are instructed to watch in private’. i was thinking the same thing. my ex was an apple genius and these training videos were pretty standard. Are these technical seminars teaching the ASP's on how to fix customer problems, or are these coaching videos shaping what the employees say to minimize liability?